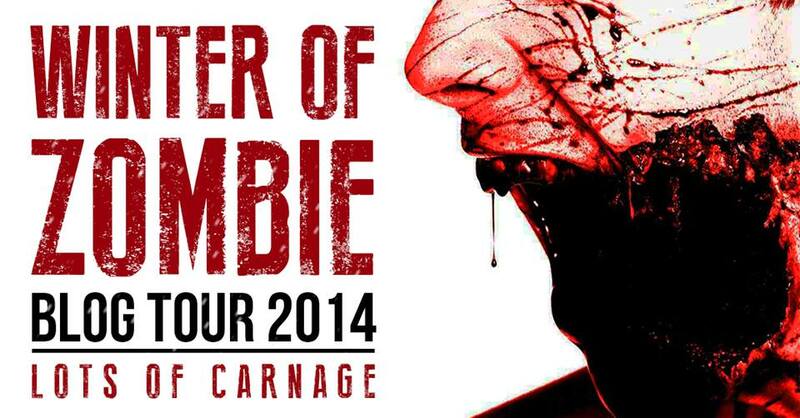 Winter of Zombie Blog Tour 2014; Lots of Carnage Guest Post by: Joe McKinney. A raid siren filled the cold morning air, sudden and shrill. Jacob was on Oberlin Street at the time, near the intersection with Yale, the east wall still about three blocks away. Within seconds of the siren going off the streets filled with people. Men and women came down from their porches to the edges of their garden and looked at one another. The raid sirens were hardly used anymore, for there hadn’t been a sizeable zombie horde at the gates for more than twelve years. 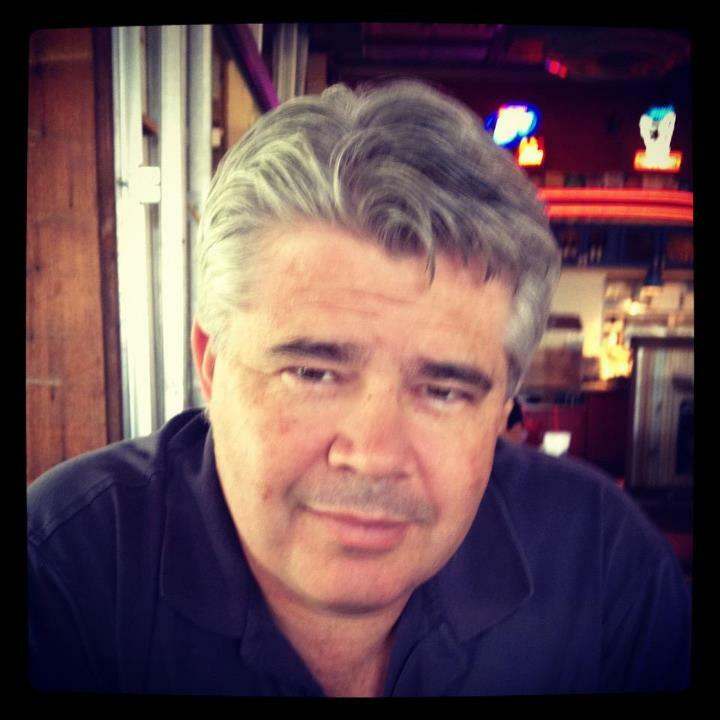 He turned and saw Linda Moffett standing by her front gate, a dishtowel in her hands. “He’s lost his mind,” somebody yelled back at her. Jacob stood up on his pedals and rode hard for the wall. A crowd had gathered in the street beneath Jim’s lookout station, and it was getting bigger by the moment. Some were yelling questions at him, others frantically trying to get him to cut out the noise. Nobody seemed to be getting his attention. Jacob saw a ladder leaning against the fence and scaled it. Jim was the very model of the Code. At eighty-four he was one of the oldest citizens of Arbella, yet he manned a lookout post on the wall three days a week. Everybody works; everybody pulls their weight. That was the essence of the Code, and Jim lived it. He had set up a comfortable workstation for his day. There were jugs of water at his side, a basket of food a little ways off. His binoculars hung from a nail on the railing. There was even an umbrella, for later in the day, when the sun came out. He had heavy blankets over his shoulders and across his lap, though now the blankets were coming off as he leaned over the raid siren, working the hand crank with everything he had. Jacob ran over to him and put a hand on the crank to stop it. “Look!” he shouted toward the river. It was a few hundred yards away. Jacob could smell the warm, sweet decay of its muddy banks and the upturned earth where the dredging teams were draining the wetlands just outside the wall. The clatter coming up from their pumper trucks was tremendous. But he didn’t see what Jim wanted him to see. And then he saw movement in the darkness down by the river. Jacob squinted, straining his eyes to see into the shadows. “Oh no,” he said. Nobody moved; nobody spoke. They just stared up at him in shock. It took a moment, but once a few members of the crowd scurried off the others followed suit. Jacob turned back to Laymon. That was a huge violation of protocol. Nobody but salvage teams ever went beyond the wall without sentries to cover their backs. That was never supposed to happen. “I need to get down there,” Jacob said. He pulled the ladder over the wall and hurried down it. When he was on the ground again he pushed the ladder into the grass and ran for the workers. The noise from their pumper trucks was deafening, and all the men wore ear protection. It was no wonder they’d failed to hear the warning siren. Their foreman was leaning over a table, looking at a map scroll. Jacob grabbed him by the shoulder and spun him around. Jacob grabbed him by the shoulder, shoved him toward the front of one of the trucks, and pointed toward the river. 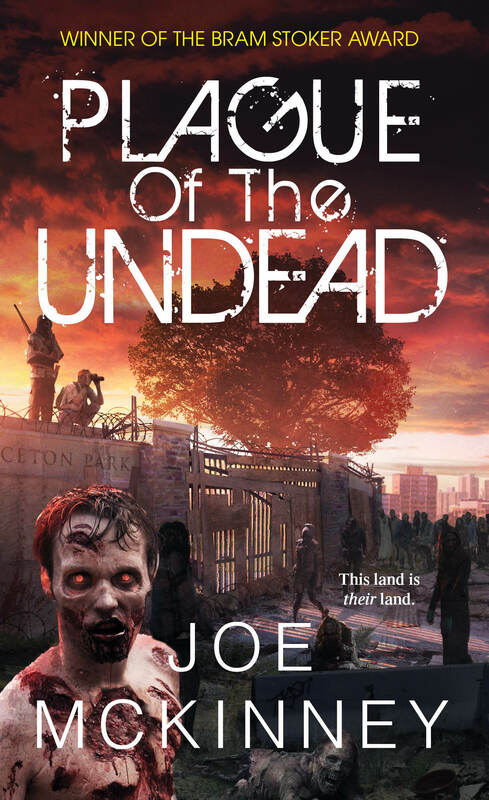 A herd of zombies was coming up from the water’s edge, pulling themselves along through thick mud. “Shut off your machines!” Jacob yelled. Now he understood. The foreman jumped into the cab of the nearest pumper truck and hit the kill switch. As the pumps wound down, workers looked up from their hoses in confusion. The foreman made frantic X’s with his arms across his chest, and within seconds, the other three trucks went silent. Men turned from their work, pulling the earplugs from their ears. They seemed as confused as the foreman had been until Jacob leveled his weapon at the approaching forms materializing out of the fog that clung to the river’s edge. Once the moaning started, they all ran. The trucks had big floodlights mounted on top of their cabs. They threw a blinding ring of light on the area the pumpers had been draining, and it kept Jacob from seeing anything beyond the light with any sort of clarity. A figure staggered into view less than twenty yards away. More stepped out of the fog on either side of him. Jacob raised his pistol at the first zombie and, for a moment, locked up in fear. He’d seen zombies before. More than most, in fact. During his time with the salvage teams he’d seen at least a hundred. He’d even put down a few. But he’d never seen one like the undead thing facing him now. It was covered in river scum, mud dripping off its frame. Jacob couldn’t tell if it was man or woman, much less what color the thing’s skin had been. Black, white, Hispanic, Asian…he had no clue. When they decay that bad, they all looked the same. All Jacob saw was river gunk dripping off a skeleton wrapped in a wrinkled leather sheet. The thing could barely walk. With every step it looked like it might collapse. But walk it did, and it closed the distance between it and Jacob soon enough.